April 2, 2011 — Anthony J. DeLuca, DC, of Old Bridge, N.J. was among a select group of doctors of chiropractic from around the world invited to participate in the 19th Annual Symposium on Natural Fitness and Sports held March 4-5, 2011 in Columbus, Ohio. Held annually in conjunction with the Arnold Schwarzenegger Sports Festival, this unique event welcomed hundreds of enthusiastic doctors of chiropractic, students, and friends from around the world. Sponsored by the Council on Fitness and Sports Health Science of the International Chiropractors Association, this event celebrated its 19th Anniversary in 2011. 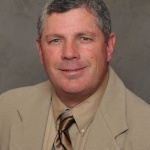 DeLuca is a 1987 graduate of Sherman College of Straight Chiropractic in Spartanburg, S.C., and earned a postgraduate credential as a Certified Chiropractic Sports Physician (CCSP) in 1998 from New York Chiropractic College’s CCSP program. DeLuca also graduated from the Eastern School of Acupuncture in Montclaire, N.J. in 2004. He was honored in 2010 by the Home News Tribune with the Readers Choice Award for Best Chiropractor. DeLuca was the 2009 and 2010 team doctor for the World Figure Skating Champions in Tokyo, Japan, Los Angeles, California, and Torino, Italy. Governor Arnold Schwarzenegger again highlighted the ICA’s 2011 chiropractic conference with his personal appearance before the packed Symposium audience. This year he took additional time at the podium to make a special presentation highlighting chiropractic’s vital role in meaningful healthcare reform. A strong advocate of chiropractic care for people of all ages, Governor Schwarzenegger shared his thoughts about the importance of chiropractic and his appreciation of its ability to help people on many levels, stressing the importance of chiropractic as a significant means of prevention and its preventive function as a key component of health care reform. Governor Schwarzenegger personally presented the Arnold Schwarzenegger Scholarship award for 2011 to the recipient, Student Dr. Bethany Dreiling, a member of Student ICA at Palmer College’s Florida Campus, whose essay was chosen from this year’s selection of scholarship contest submissions. The 2011 essay theme of “The Human Spine – A Structure Designed to be in Motion” was chosen to focus awareness and attention on the important relationship between healthy exercise and a healthy spine. This year’s Symposium program included special champion athlete and actor Mr. Lou Ferrigno, a colleague and co-competitor with Schwarzenegger in bodybuilding championships. Speaking eloquently about many aspects of chiropractic’s clinical efficacy in enhancing sports performance and managing injury prevention and injury recovery, he shared insights about his personal experience with chiropractic and sports performance. The ICA Natural Fitness Symposium focuses on the close relationship between fitness and health, and brings together the worlds of athletic competition, exercise, and fitness, and chiropractic science to educate all participants on the value of natural health through exercise. Through clinical presentations and lectures combined with practical demonstrations, the Symposium provides the latest information available, including current research and breakthroughs in training strategies, on the development of optimum performance in sports and training on injury prevention in the context of chiropractic care.